AMMAN (Sputnik) - The Jordanian parliament recommended on Monday that the government recalls the country's ambassador from Tel Aviv and expels the Israeli envoy over the recent escalation around Al-Aqsa Mosque in Jerusalem. 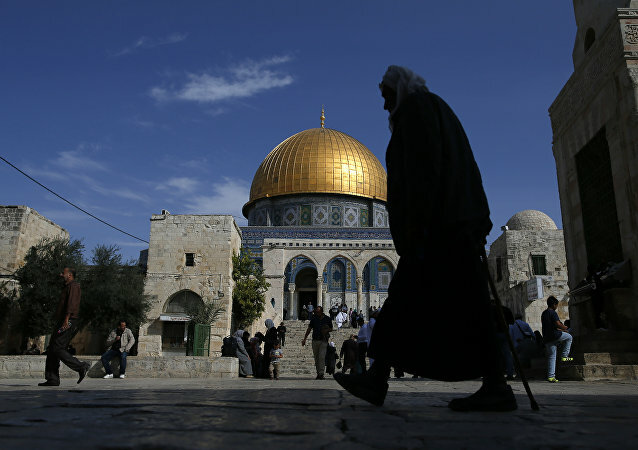 MOSCOW (Sputnik) - Palestinian leader Mahmoud Abbas called on Friday for an end to Israel's actions in the sacred Muslim mosque of Al-Aqsa in Eastern Jerusalem. US President Donald Trump on Wednesday will order the State Department to start the process of relocating the US embassy in Israel from Tel Aviv to Jerusalem. Trump's move received the bipartisan support of the US Congress and it was backed by the president's peace team, a senior Trump administration official said. Palestine's Hamas movement unveiled a new initiative aimed at reaching reconciliation with Fatah, the Ramallah-based leading faction of the Palestine Liberation Organization, amid crisis which erupted around the Temple Mount in Jerusalem following Israel's decision to impose restrictions on access to the Al-Aqsa mosque, media reported on Thursday. 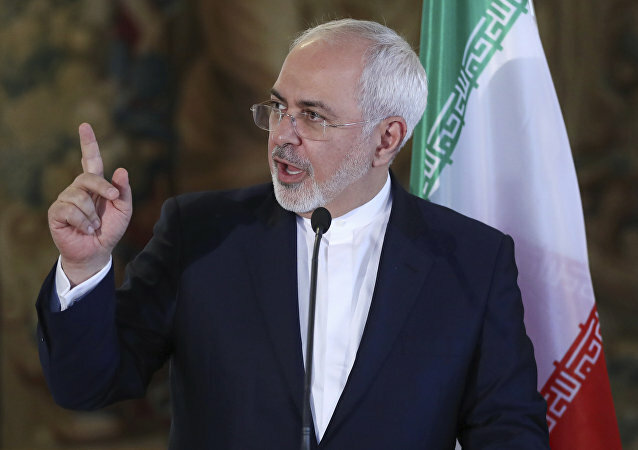 Iranian Foreign Minister Mohammad Javad Zarif said that OIC member states should cooperate with the international community and particularly with the UN Security Council to address the actions of the Israeli authorities as for Al-Aqsa mosque. 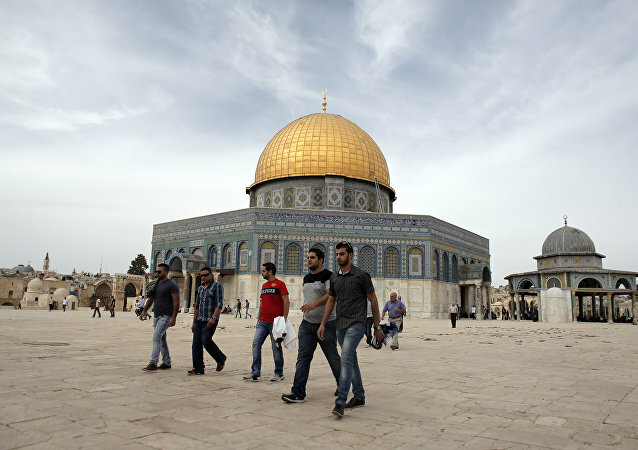 Jerusalem Arab Muslim community will continue protests near Bab al-Asbat, the north-eastern gate to the Temple Mount, until the Bab Huta gate is open, the director of the Al Aqsa mosque, Ahmed Omar Kiswani, told Sputnik on Thursday. 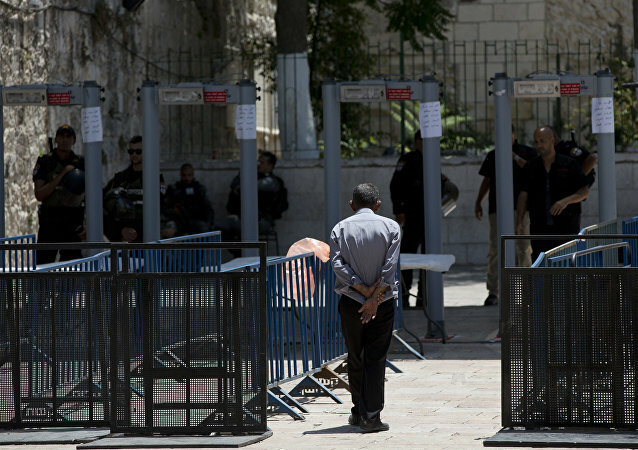 Israeli authorities have removed some metal detectors close to the Temple Mount in Jerusalem following large-scale protests by the local Arab Muslim community, a Sputnik corresponded reported Tuesday. Turkish President Recep Tayyip Erdogan called on Israel to recognize Palestine and to respect the Al-Aqsa mosque, which is one of the holiest sites in Islam. Palestinian leaders refused to accept the new security measures installed by Israel at the Temple Mount, and blamed Netanyahu’s government for the ongoing escalation of violence in Jerusalem. Turkish Prime Minister Binali Yildirim condemned on Friday Israeli government's measures to step up security on the Temple Mount and restrict access to Al-Aqsa Mosque for Muslim prayers after last week's deadly attack on the Israeli police, adding that it would not help to solve the existing conflict. 176 settlers, backed by Israeli special forces, stormed the Al-Aqsa Mosque compound in the Old City of Jerusalem, according to the mosque director, Sheikh Omar Qiswani. 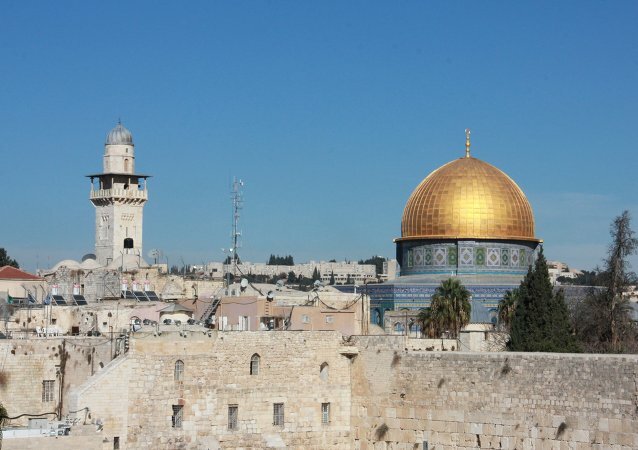 The United Nations Educational, Scientific and Cultural Organization (UNESCO) passed a resolution on Thursday that denies any Jewish historic link to the Temple Mount and surrounding holy sites in Jerusalem, Israeli media reported. 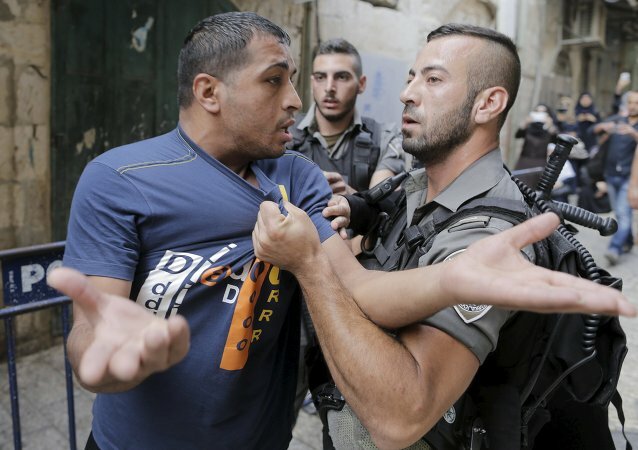 Jerusalem’s Al-Aqsa mosque compound, a holy site for both Jews and Muslims, was once again a hotspot on Thursday, as police arrested right-wing Israelis attempting to carry out prohibited religious rituals. 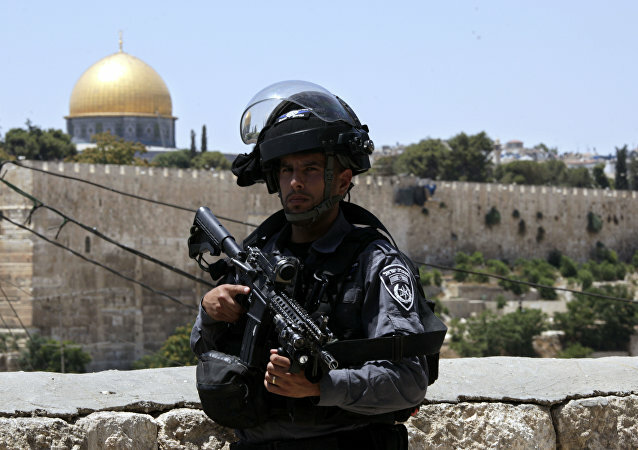 Prime Minister Benjamin Netanyahu confirmed on Sunday that the Israeli government was ready to install round-the-clock video cameras on the Temple Mount to show it was not breaching the status quo at the holy site. Monday saw new clashes between Israeli police and Palestinians at the Al-Aqsa mosque compound in East Jerusalem, according to news reports. 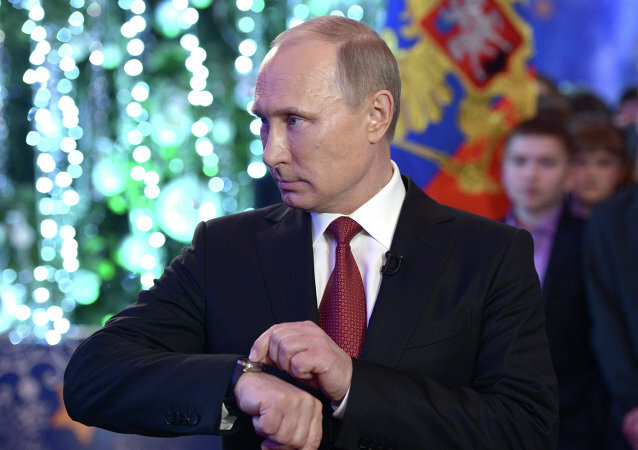 Russian President discussed on Wednesday the settlement of the Israeli-Palestinian conflict with Saudi Arabia's King in the wake of clashes in Jerusalem, the Kremlin press service said. Fighting at Jerusalem’s holy site in the Temple Mount could delay the Israeli-Palestinian reconciliation, the Russian Foreign Ministry said Tuesday. 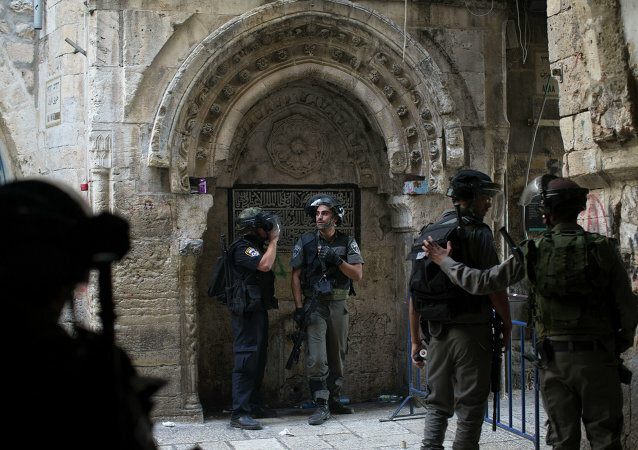 Palestinian youths clashed with Israeli police at a historic religious site in the Old City of Jerusalem on Tuesday, on what is the third day of unrest and the second day of the Jewish new year.